It’s a seemingly great time to be a brand. Our digital world has created numerous challenges in reaching consumers, but thanks to digital channels like social and mobile, there are arguably more opportunities than ever to create connections. For agencies, whether the digital revolution is a boon isn’t always so clear. Yes, agency services are in great demand as a result, but the complexity of digital advertising is creating some significant pain. The good news: “breakthrough technology is available” — often from upstarts backed by firms like Swinand’s. The bad news: a lot of this technology is expensive, and agencies already facing declining margins are loathe to write big checks. Can technology play a role in reducing complexity, thereby creating efficiencies? Absolutely. But is it the panacea Swinand seems to suggest? Probably not. Technology alone is never a guaranteed solution to problems of complexity, and in fact, more than a few companies have harmed themselves by throwing more and more (and more and more expensive) technology at a problem. So while there’s no doubt that digital advertising is complex, the question here is not whether agencies need to arm themselves with more technology, but rather: where is the complexity coming from? The real-time bidding (RTB) space may be instructive in answering this. The RTB model is, by design, intended to provide for the type of automation and efficiency Swinand seems to believe is necessary yet, despite the hype around, and growing adoption of, RTBs, there is still substantial confusion amongst both media buyers and sellers. Why? Because, well, the RTB ecosystem required to provide for all that theoretical efficiency is complex. While this doesn’t mean that RTBs are destined to fail, the RTB space is evidence that technology can be a force for increasing complexity just as easily as it can be a force for decreasing it. On the flip side, one only need to look at the $130bn/year television advertising market — often criticized as being backwards technologically despite the fact that it functions quite efficiently — to see that efficiency isn’t always a product of technology. When it comes to the complexities digital advertising is creating, it’s important to recognize that the ever-growing number of channels (the “search, social, big data, owned media, branded entertainment and other new media” Swinand refers to) is a big part of the problem. For agencies grappling with a complex digital advertising ecosystem, it’s worth considering that trying to be everywhere is increasingly going to lead nowhere. No, agencies won’t realistically be able to ignore prominent digital channels. They have to be able to speak to these channels. But if one of an agency’s core functions is to provide strategic guidance to its clients, as Swinand himself states, an agency should not jump into all channels with its clients. At the end of the day, channels do not handle themselves. If “already stretched-thin teams are required to manage, track, analyze, slice, maximize and handle countless new responsibilities” because agencies are getting their clients in to each and every channel that emerges, the solution is a return to sanity and thoughtful deliberation, not panicked multi-million dollar investments in newfangled technologies that promise to automagically handle everything. If anything, it would seem that perhaps the greatest existential threat to agencies is an increasingly confused notion of what they are and should be in the digital era. Media planning and buying are an important function of modern agencies, and the idea that ongoing investment in these areas is a necessity is, at the highest level, a seemingly good one. But before agencies invest millions in software and platforms that carry bold labels like “operating system for the advertising business,” they should first assess whether or not they’ve been a part of the complexity problem by deluding themselves and their clients into believing that every digital channel is a viable one, and that more technologically sophisticated approaches are the best path to higher ROI. In many cases, they’ll find that their complexity challenges are the result of human error. And, fortunately, fixing human error generally doesn’t require software. 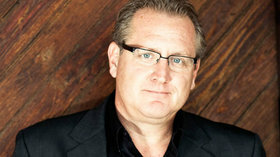 Mark Schaefer is the author of two best-selling books on social media and the opportunities and challenges present for brands and individuals online. This is part two of our interview with him. You can find part one here. Pinterest stats: does it really drive more sales than Facebook? Though Pinterest is no longer the hot new thing that it was for much of 2012, it still has too much potential to be ignored. Social marketers tend to default to Facebook and Twitter for obvious reasons, but the stats around engagement and referral traffic on Pinterest are compelling to say the least. We’ve already looked at six brands making good use of Pinterest and blogged nine awesome Pinterest infographics, and now here is a round up of some of the most interesting case studies we’ve seen along with a roundup of useful traffic and user stats.